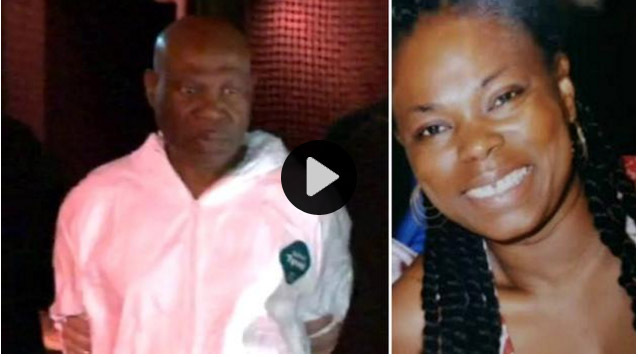 BAYCHESTER, Bronx (WABC) -- The father of a pregnant woman who disappeared in the Bronx days ago and is now charged with her murder made a brief court appearance Thursday. Police found the body of 39-year-old Anndrea Caruth in a crawl space within the basement apartment of her Baychester home around 5 a.m. Wednesday. Now, 61-year-old William Caruth, who lives in that basement apartment, is under arrest and charged with second-degree murder and manslaughter. The crawl space was called a "self-dug hole" by the prosecutor while he made a request to have bail denied. It had been previously hollowed out, indicating a degree of planning, according to sources. No family members were present in the courtroom during the otherwise uneventful hearing. Anndrea Caruth was five months pregnant and operated a daycare facility out of the Corsea Avenue home. "She was a beautiful soul, very calm, even keeled person, just full of life and compassion," friend Marjorie Fitzwilliam said. The Medical Examiner ruled the cause of death as ligature strangulation and blunt impacts to the head, with skull fractures and brain injuries. The manner of death is homicide. "What could a man be thinking to be done in such a way, in such a horrible way, it's mind boggling," friend Nigel Fitzwilliam said. Forensic crews hauled out lots of evidence, all wrapped in paper bags, after the grisly discovery. According to authorities, William Caruth appeared to be having an ongoing dispute with his daughter over money, apparently stemming from a second mortgage taken on the house. Wednesday night, neighbors mourned the loss of a woman who cared for children and, at 39, finally looked forward to having her own. Marjorie says Anndrea's sister suspected the father from the beginning. "I said, 'How could you say that? A father could never do that,'" she said. "And she swore, she said, 'Marjorie, he did it.' She said there were issues going on, and he hated her." The woman's longtime boyfriend, Lincoln Grant, is the one who reported her missing. He initially gave police permission to search the house, but nothing was found. Only when canines were brought in Tuesday did they detect possible remains. Wet residue spots were discovered in the basement apartment, and detectives noticed that a large garbage bag that was full on their last visit had been emptied and turned inside out. Wet residue that appeared to be blood was on the bag, police said. "I miss her, and I love her," Grant said. Eventually, the crawl space was entered and the body found, partially covered by gravel and dirt. Officials said there was an obvious attempt made to obstruct the space with a plywood board. A hammer was recovered at the scene, possibly used in the killing. When confronted with the forensic evidence and his access to the area where the body was located, officials tell Eyewitness News that the father requested a lawyer.